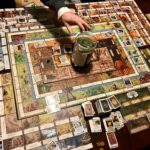 We have a New Year’s tradition among some local friends of playing the Talisman board game. 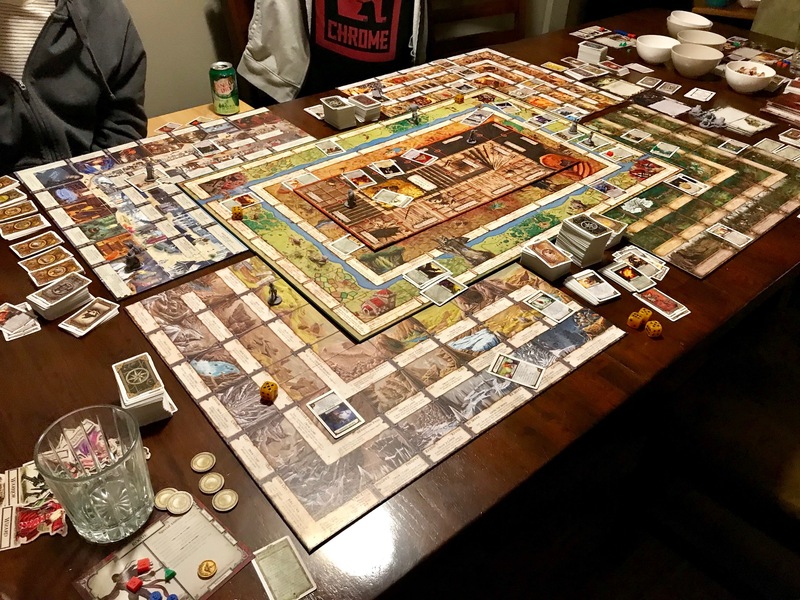 This is no casual gathering, but an all-out annual quest for questing… with nearly every expansion the game becomes a behemoth that barely fits on the dining room table. The Monopoly-like board of the base set is extended in every direction with dungeons and towns. Tiny little special encounter and item decks are stacked everywhere… The main adventure deck, swole with expansion cards, is so massive that we break it into three piles so it won’t topple over. There’s a delightful insanity to Talisman’s hodge-podge of fantasy themes, like Tolkien and Gygax thew up in a Milton-Bradley factory. Werewolves. Faeries. Dragons with swords for scales. It’s also completely unbalanced and random as hell. 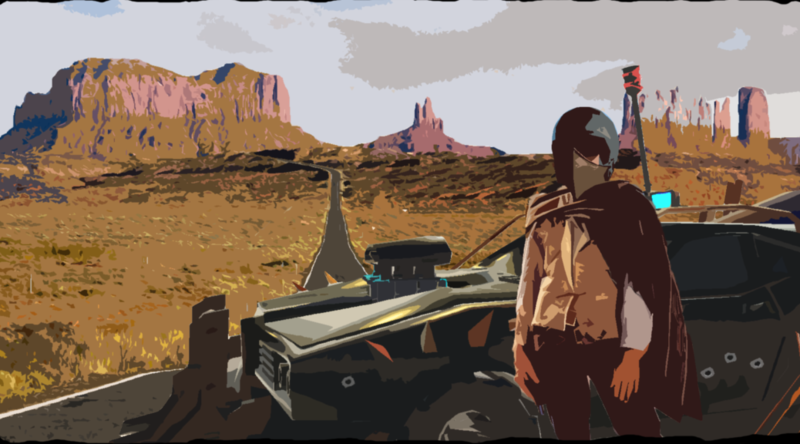 Did I say it’s the best game? It’s also the worst game! 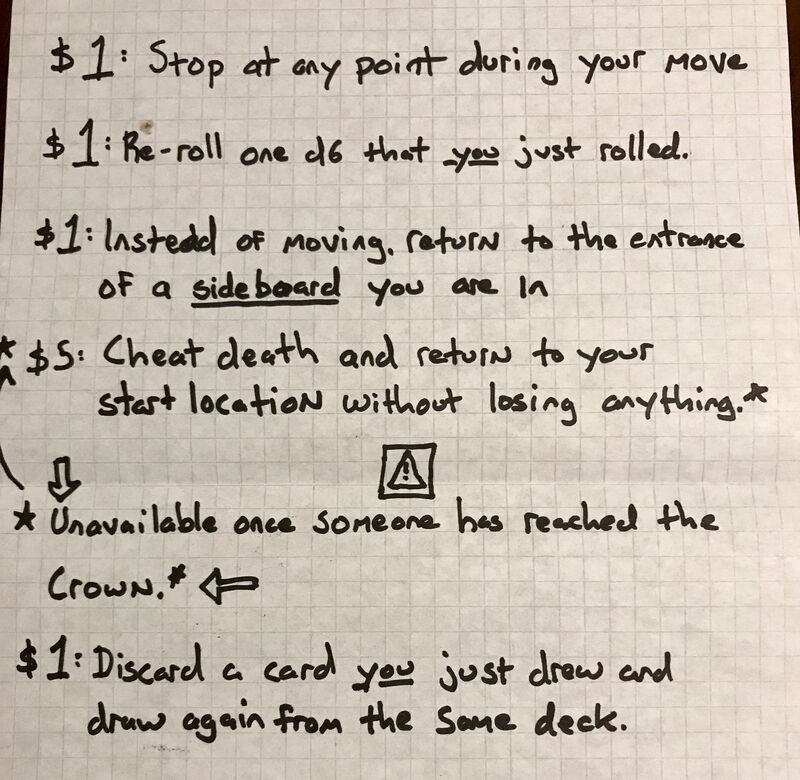 Every roll of a six-sider or draw of a card could result in a game-winning boon or a soul-crushing return to square one. And the behemoth keeps growing… people keep buying new expansions, so by now a game takes at least six hours… Hence the once a year tradition. Jim, the owner of this pile of cardstock insanity, was looking for ways to make these evenings of hilarity even more memorable. 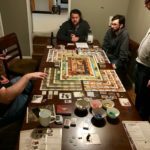 How could we make Talisman even worse? The answer was clear: Pay to Win. 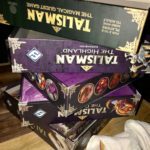 Pay to reroll a die! Pay to stop on a square! 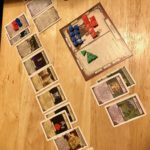 Escape a dungeon! Cheat death! We embraced the pain and proceeded on our long evening of questing. The game was just as random as ever. People would gather massive arsenals of equipment, just to be turned into a toad and drop it all on the ground. Talismans (Talismen?) were gained both through mighty deeds and by randomly tripping over one. The dragon fight at the end to gain the Crown of Command was the usual madness, and as usual an unbeatable card combination helped seize the day. I gotta admit though, all these little one-dollar kicks to the privates actually made Talisman a bit better. We could fix our random failings. Sure, sometimes we put a couple bucks in and got a worse result, but that was part of risk-reward. 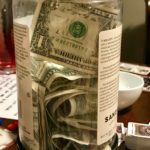 Around 2AM we staggered home, some 30 bucks filling the money jar, paying forward into the next game night. However, I’m not sure how we can top this next year: Loot boxes? The money jar was always an option if you didn’t like what the fates delivered. 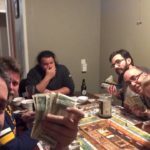 $30 was collected from 7 players. One guy actually came out a buck ahead during the evening. Expansions included: Reaper, The City, The Dungeon, The Highlands, The Frostmarch, The Sacred Pool, The Dragon, The Blood Moon, The Woodland, The Nether Realm. 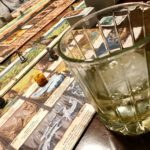 I had trouble getting the entire board into the shot. 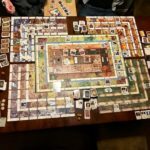 Seven players plus all expansions took a pretty big dining room table with all the leaves attached. This year’s unbreakable Wombo Combo was brought to you by the Tinkerer, who had a legion of walking hats and items following him around. He didn’t win, but he was able to wreck just about any ridiculous monster the Crown of Command player could throw at him at the end. There was a lot of walking around the table just to reach what we needed. 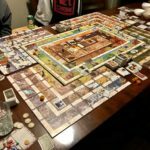 Pingback: The most awesome game of Talisman ever?